Volunteer management refers to the process of creating systems for recruitment, training, engagement, and coordination of volunteers. In simple terms, it involves managing the volunteers in a non-profit organizationTypes of OrganizationsThis article on the different types of organizations explore the various categories that organizational structures can fall into. Organizational structures and the work that they do. Putting a proper volunteer management plan in place can help an organization speed up the progress of its operations, as well as achieve its objectives. Apart from planning the recruiting and training volunteers, an organization needs to formulate strategies for supervising the work performed by volunteers and motivating them to continue performing their duties. Due to the diversity of various non-profitsHow to Start a Non-Profit OrganizationA non-profit organization is one that is formed for any other purpose other than making a profit. Instead of distributing the profit among the directors and, the strategies that they put in place may vary from one organization to another. However, when devising how to manage volunteers, an organization should focus on the best strategies that help volunteers do their work while working towards the overall objectives of the organization. The first step in volunteer management is recruiting the right volunteers. An organization needs to put systems in place that helps find the right volunteers with specific skillsInterpersonal SkillsInterpersonal skills are the skills required to effectively communicate, interact, and work with individuals and groups. Those with good interpersonal skills are strong verbal and non-verbal communicators and are often considered to be “good with people”. and talents that would benefit the organization. Creating predetermined preferences for the type of volunteers that the organization is interested in can help speed up the recruitment process and get people with specific skills and experiences. Also, when recruiting volunteers, the organization should collect volunteer data such as educational qualifications, skills, hobbies, and languages that they speak, which can help the organization assign duties according to what the volunteers are passionate or most comfortable in. Matching duties with the skill set can also help increase the productivity and unityTeam CohesionTeam cohesion is the strength and extent of interpersonal connection existing among the members of a group. It is this interpersonal bond that causes members to participate readily and remain motivated to accomplish the set goals. Cohesive teams have an attitude of "we-ness". among the volunteer teams. After recruiting and welcoming volunteers to the company, the next step is to engage them in a way that they feel appreciated and useful to the organization. One of the mistakes that companies make is to assign volunteers tasks that they are not skilled in, which leads to decreased productivity and high volunteer turnover. 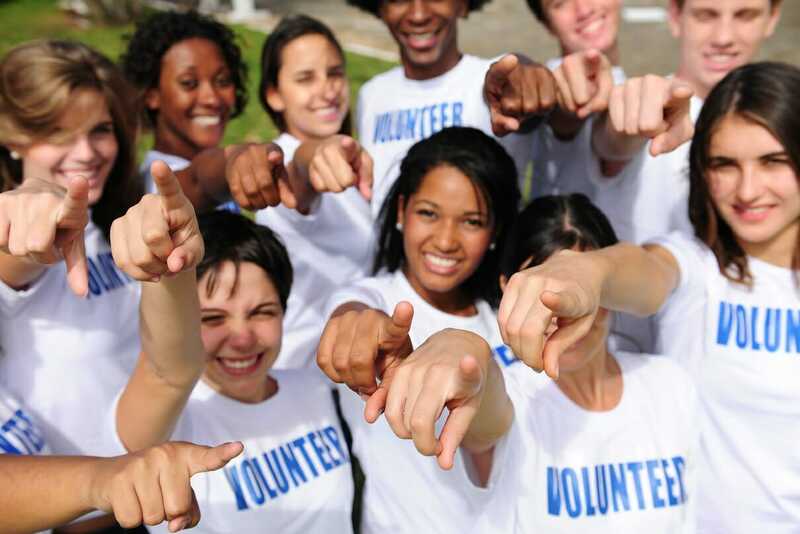 An organization can keep the volunteers engaged by recognizing the volunteer’s skills and creating opportunities that keep them involved in productive activities. Allowing the volunteers to stay idle most of the time can make them feel underutilized and can encourage them to look for avenues where their skills can be utilized in a better way. Another way of engaging volunteers is to make volunteering a fun activity by organizing sporting activities where the volunteer teams compete and win awards. Other activities where volunteers can participate in include cooking competitions, fitness camps, BBQ’s, and outdoor trainingTeam BuildingTeam building refers to the activities undertaken by groups of people in order to increase their motivation and boost cooperation. Many people use the phrases “team building” and “teamwork” interchangeably. However, they are two distinct concepts. While team building places emphasis on the creation of groups. Retaining volunteers is often difficult for most non-profits, due to the complexity of managing large volunteer teams with different skills and abilities, unless there is a proper volunteer management system in place. One of the ways that an organization can increase retention is to keep volunteers connected to managers. The volunteers should be able to present the questions, recommendations, and findings to the volunteer managers with ease, and receive a response promptly. Also, the organization should make it possible for the volunteers to see the impact of their work on the achievement of the organization’s goals. For example, if the volunteers are building a mobile application to protect wildlife from poaching, the organization should provide feedback on the progress of the app in curbing poaching by giving statistics of the animals they have saved from poaching. It gives them a sense of success and achievement, which motivates them to build better systems. Tracking is another strategy that can help in volunteer management. It involves automating the work process to help volunteers know the number of programs they have supported during a specific period and the number of hours they have contributed to each program. Knowing the level of contribution they have made to the organization can help volunteers account for their time and generate reports on their progress in the organization. If an organization oversees a recognition and award program, it can use it tracking systems to identify the volunteers who contributed the most to the organization. An essential tool in managing volunteers is putting an effective communication channel in place that volunteers and management can use to communicate information with each other. An organization requires an efficient communication channel that it can use to promote upcoming volunteer activities, provide volunteer information to participants, inform volunteers on important events, and interact and follow up with volunteers to get their feedback on the volunteer activities. An organization should first test various communication methods such as newsletters, emails, social media websites, etc., to know which communication method the volunteers prefer. Also, the organization should make sure that their communication is consistent and clear so that it can be convenient for the volunteers.